A group of work trucks has been traveling around our neighborhood, first at one corner, then at another, doing something mysterious that has to do with manholes. Ruby hazarded a guess that it has to do with the pipes under the street, the ones that are for "dirty water from the sink and stuff from the toilet". It was our corner's turn this afternoon. The closest manhole is right in front of the neighbors catercorner from us (the bus stop house). There was a guy sitting on the tailgate of a truck pulled up next to the open hole, so I put shoes on me & Xander and headed on over to ask what they were doing. I always feel odd doing that, it feels slightly pushy and socially inappropriate, but it hurts nobody and we can get actual interesting and educational information rather than continuing to make uninformed guesses, right? So, the guy told me that they are relining the pipes under the street (not clear on if they're freshwater or wastewater, forgot to ask). They mix up some kind of epoxy and send it through the pipes from one street corner to the next, and it hardens into a thin fiberglass lining in the pipe. 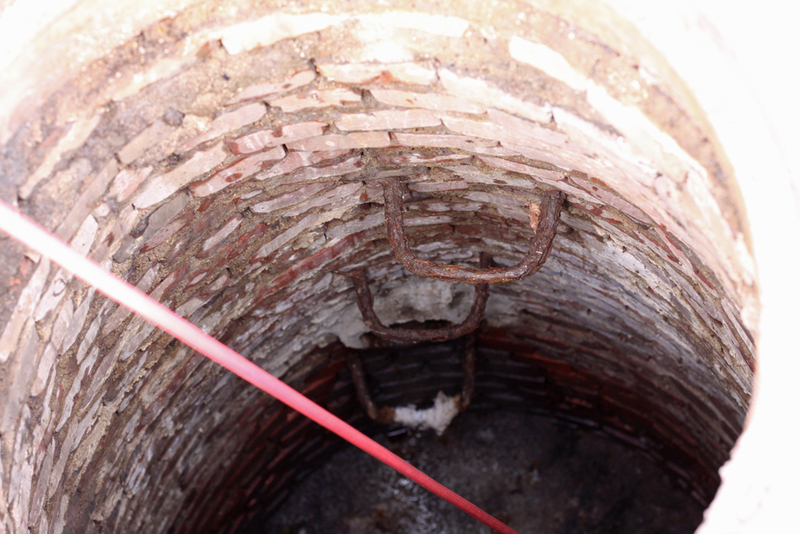 I had wondered how 80-plus-year-old iron pipes were still functional. Now I know!